Patrick’s Pocket Challenge for the Nintendo® GAME BOY™ is fun for all ages. Are you ready for the challenge? Feel free to leave your highscores in the comments below. 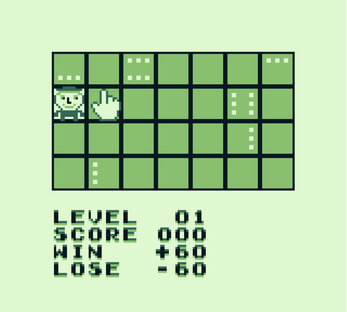 This game was made for GBJAM 6, where it placed #17 overall out of 102 entries. The object of the game is to move Patrick around the board and remove all 28 squares. Squares with square symbols on them will remove extra squares, and can make the puzzles trickier or easier. 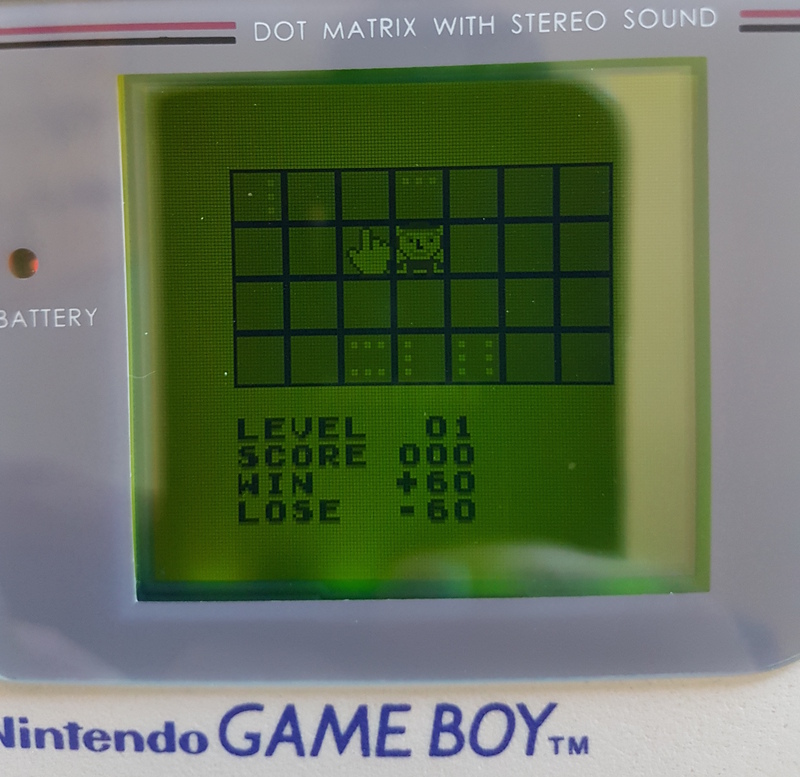 The numbers on the top of the screen represent the current puzzle. If you encounter a puzzle you like, write it down. It can be input in other versions of the game that contain a level editor. I didn't have time to put a level editor into this jam version, but I plan to add it later. 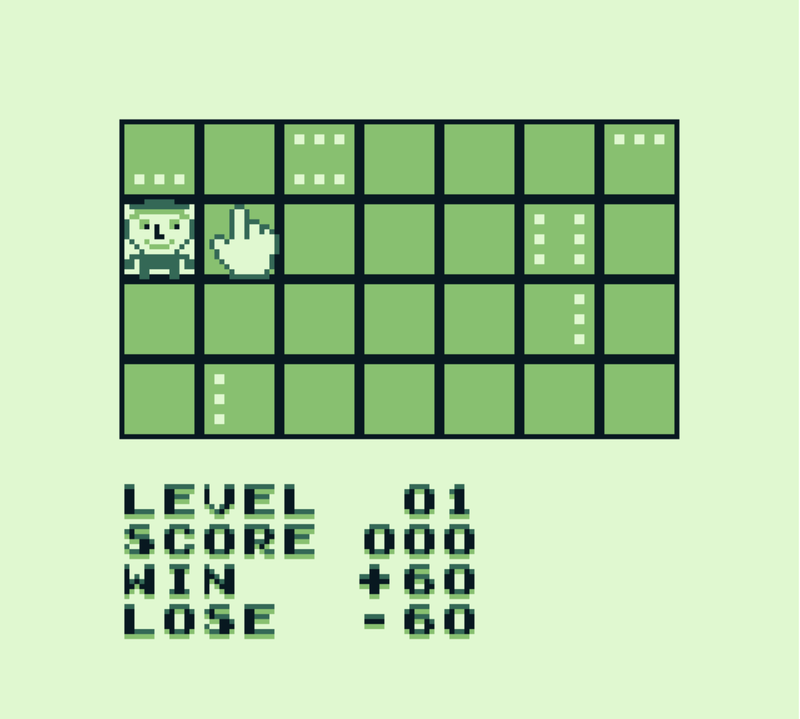 The game is playable in the browser. You can also download the ROM file and play it in an emulator. If you're using the itch app, you'll have to open your web browser. The app doesn't let you download the ROM since it's not an executable. 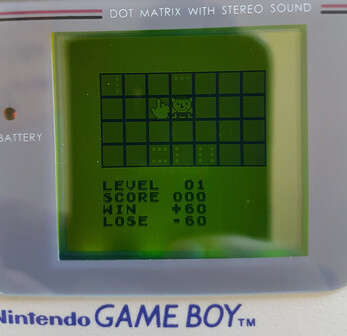 To play the ROM, you will need an accurate Game Boy emulator that simulates uninitialized RAM, such as Gambatte or BGB. You can obviously also play it on a real Game Boy if you have the means (a flashcart, for example). 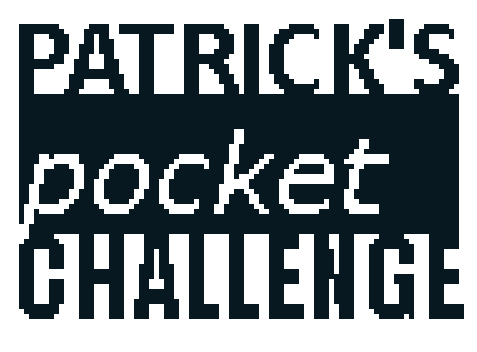 This is a fanmade Game Boy sequel to the 1998 freeware sensation Patrick's Challenge II by Reldni Productions.